Dr. Jack Stockwell - Healing By Holding Hands! 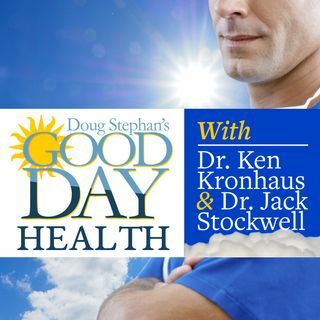 Dr.Jack Stockwell http://www.forbiddendoctor.com explains to Host Doug Stephan where depression originates in the body, and why Tamiflu is extremely dangerous for you. A new study shows that E-Cigarettes produces a number of Cancerous toxins in teens and may double your risks of Heart Attack. Do you know how much your Zip Code can predict your longevity? Find out about the mysterious healing powers in holding hands. Learn the effects that avocados, strawberries, kelp and pumpkin seeds can have ... See More on your hair's health.